As you know, PM Barrow has taken up the mantle as the new Minister of Police. 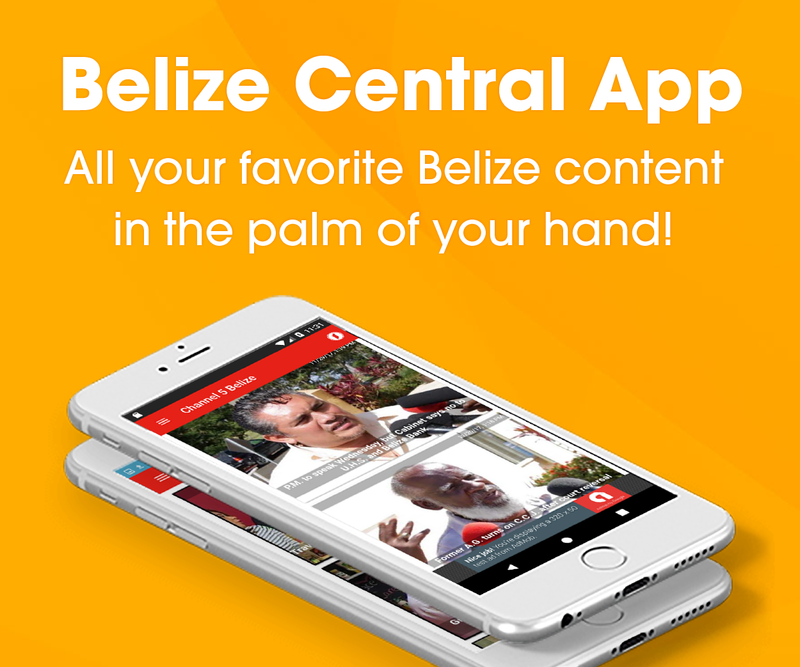 Tonight there are pressing issues within the Belize Police Department to be addressed. Officers stationed in Caye Caulker are faced with substandard living conditions while working on the island. Despite an inspection by public health authorities, as well as a string of letters written to Commissioner of Police Allen Whylie condemning the quarters, officers are tonight still living in the decrepit buildings. News Five’s Isani Cayetano reports. The Caye Caulker Police Barracks is very much an eyesore. The rotting and dilapidated wooden structure houses several officers attached to the substation. For years, the temporary accommodation has been neglected and the men and women of law enforcement on duty on the island have been subjected to deplorable conditions at the quarters. The outer plywood walls are flaking, and the flight of stairs leading to the upper flat of the two-storey edifice are all but rotten. Despite a letter from the President of the Police Association in March 2014 to Commissioner of Police Allen Whylie, nothing has been done to address the poor living arrangements. In that memo, also forwarded to the Ministry of National Security, President Eldon Arzu recommended that the existing buildings be torn down and replaced with newer ones since the state of those structures are irreparable. 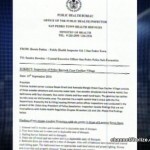 Furthermore, the head of the Belize Police Department had been made aware that his officers are being exposed to severe health and physical injuries at the dwelling. 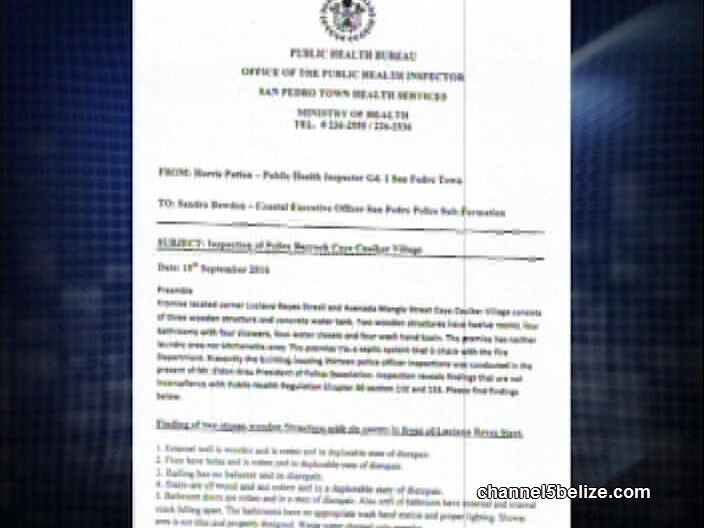 Last month, Public Health Inspector Horris Patten wrote to Superintendent Sandra Bowden, Coastal Executive Officer, informing her of the results of an inspection at the compound in Caye Caulker. The findings very much affirm the concerns voiced by Arzu in his previous letter. Inside the bathroom, not only are the inner and outer walls falling apart but there is no appropriate wash hand basin or proper lighting and since the shower stall is not properly designed, the waste water leaks back into other parts of the building. That is the six-bedroom property on Luciana Reyes Street. The other facility on Avenida Mangle Street is much worse where fungus growth was observed on the walls and ceiling. Patten’s recommendation, having completed the inspection, is that the building, which has been deemed a fire hazard, is not habitable. It is unclear if or when a budget will be allocated to construct new housing for officers in Caye Caulker. With the PM’s new designation as Minister of Police, will the housing crisis be addressed since he is also the Minister of Finance? If they build the police a new barracks I hope they teach them how to take care of it better than they take of the vehicles and other equipment that they misuse and destroy.